Rebel Eagle Genuine Buffalo Leather Vest | BUDK.com - Knives & Swords At The Lowest Prices! You’ve just got to have a Rebel Eagle Leather Vest, especially, if you really are “living to ride”! A good quality and attractive vest is what you need when you’re out on the road on your machine. This is a genuine buffalo leather vest with gunmetal finished hardware. It has a polyester lining and lace-up sides. 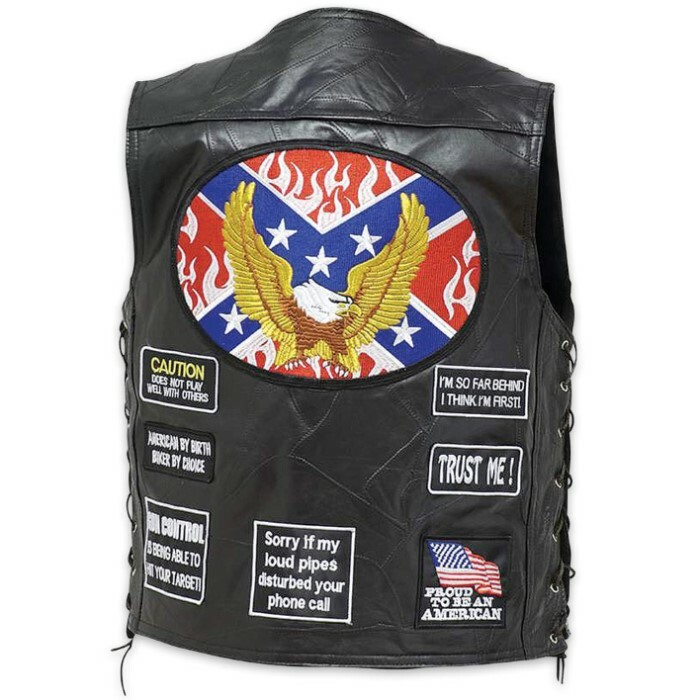 Six biker patches decorate the front and eight are on the back. The main artwork is an eagle patch with a Rebel Flag as the background. 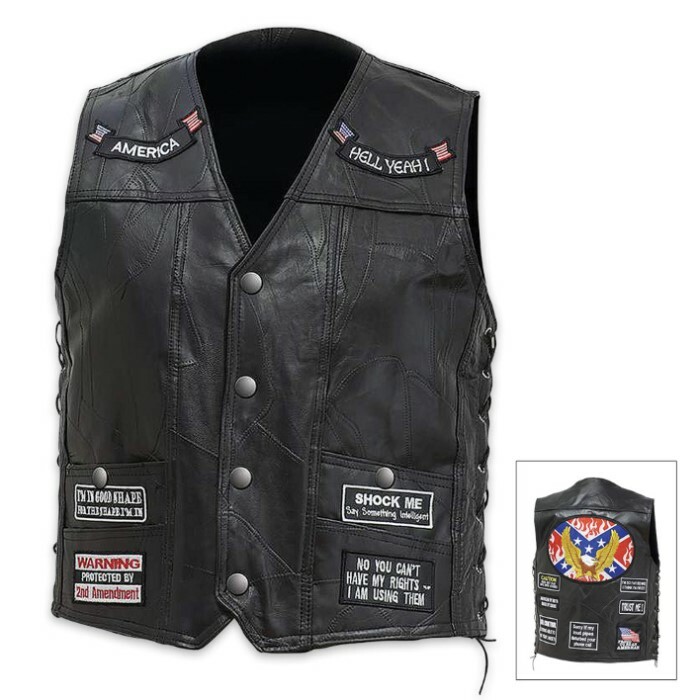 The vest also has four front pockets and comes in Large, XL and 2XL.